Beginning the day with what most people call “meditation” is key for me. Meditation simply means focusing on something that doesn’t get you into thoughts. After a while the process tunes me in and anchors me. Like sleep, it’s a process that happens to you rather than one you make happen. What I’ve found is that if I don’t do the amount of meditation my guidance tells me, it’s almost pointless. I don’t believe in that idea that “even five minutes is good” – because most people just sit there thinking for those five or even fifteen minutes. This isn’t meditation – it’s thinking. For me and many others, it takes longer than that for the thoughts to settle. It is only when the thoughts settle that meditation begins. So I do the amount of time my inner knowing tells me to, and get synced up with who I am. I have the discipline to follow through with this, which is a huge benefit in my life. Going to the gym is also a meditation for me, I go to the gym because it’s another way I get centred, plus I enjoy the results. The contemporary spirituality world can mix up “going with the flow” with laziness. All the successful people I have personally known are constantly working and taking action – they don’t just sit around daydreaming. It’s not what the action does, but more than it gets you in your flow more than just sitting there thinking – which leads to stagnation. It’s working right I’m talking about, not working hard. 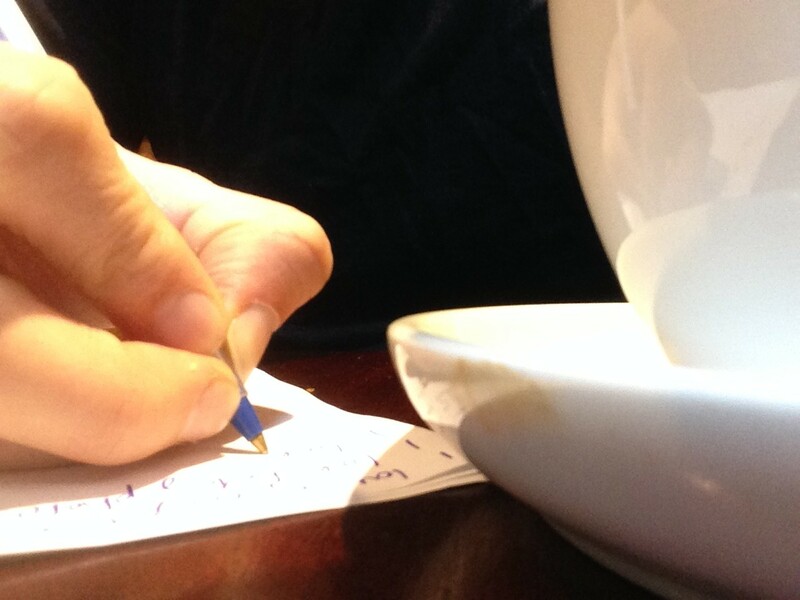 So I like to write down which tasks I’ve been guided to do for this day – and then check them off at the end of the day. So if I say I’m going to do something on my things to do today list – I do it. This is about having integrity. At the moment I’m writing a book so I make sure I add to it everyday. Staying in action is a meditation for me that keeps me out of mind wandering. It also feels good for me to do something new each day – add something slightly different to what I’ve done before or a slightly different approach to something familiar – it feels like I’m making the most of my life. All this contemporary spirituality stuff about “being mindful” and being loving and authentic all the time is a nice idea – but can have a real tinge of perfectionism and it can be very harsh against self: an endless trying to be better or do better. In this way, much of the contemporary spirituality movement and personal development is just more self-hatred in disguise – a constant telling you that you’re not good enough yet. I prefer to be me and yes, sometimes I judge, sometimes I lose my temper, sometimes I don’t have as much faith as I would like to etc. If I’m in that mood, I allow myself to be in that mood, knowing that Life is working on me in some way. What this gentleness with self does is allow the judgement to pass through before I act on it. For me, this is self-acceptance. Not being this perfect spiritual person who sends love and light to everyone 100% of the time. I’m not that person. In fact I’ve never met anyone who is that person. My life is far more enjoyable than it used to be because I have found a way to be ok when I feel less than my best; to make peace with those moments. This place of non-resistance is what I’ve found everyone is seeking, when it comes down to it. So I like to take a few moments to list the good in all areas of my life. It’s amazing how this simple process can seem to shift your entire world. Right now I spend a little time envisioning (visualising), as I’m currently writing a book about this subject – how to do it, the pitfalls etc. One of the keys is to visualise simply for the enjoyment of it – rather than to trying to make something you want happen. At bedtime, I also spend some time talking through my visions and my current insights. It’s a nice way to end the day.